During the two-week exercise, aircrew from four different countries will fly offensive and defensive missions to improve the skills and interoperability of NATO Response Forces (NRF). 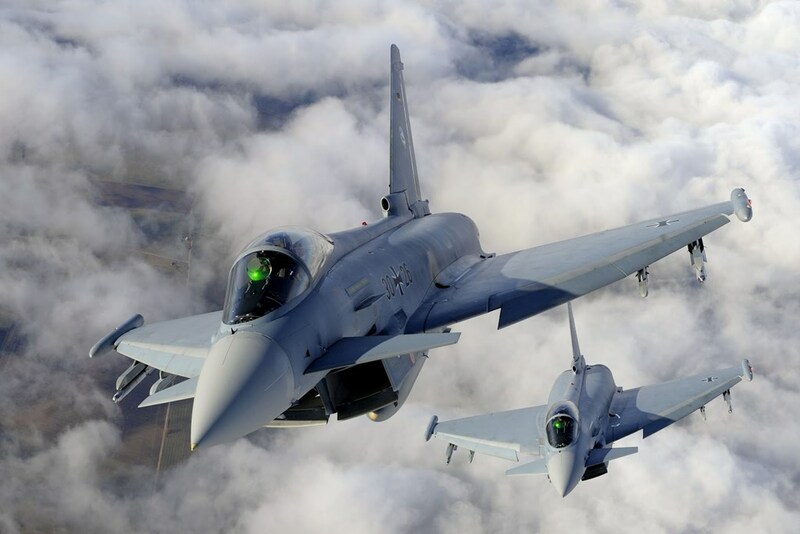 In the airspace of Germany and Netherlands F-16 fighter jets from Greece, Poland and Turkey and German Eurofighter aircraft will train together during exercise Brilliant Arrow 2017. Brilliant Arrow 2017 (BRAW17) is the name of the NATO exercise which will take place between September 11 and 22 with approx. 1,000 German and international participants on the north of Germany and the northeast of the Netherlands. For the second time after 2012, the German Joint Force Air Component Command Headquarters (JFAC HQ) will be responsible for command and control Allied assignment. Flying activities will take place in reserved training areas between mostly out of the air bases Nörvenich, Wittmund, Hohn and Laage; during BRAW17 there will be training activities on weekends or low-level flights. Brilliant Arrow is designed to train NATO air forces who don't routinely train together to share their experience and skills in combined air operations. It will prepare the participating units and HQ AIRCOM to assume standby from 2018 ready to react in defence of the NATO region and its interests. Exercise activities will be supported by AWACS aircraft flying out of the NATO Air Base in Geilenkirchen, Germany, an Airbus A-310 MRTT tanker aircraft taking off from Cologne and target simulation aircraft and forces from Hohn, Nordholz and Nordhorn. Moreover, 26th Surface-to-Air Missile Group in Husum and 3rd Tactical Air Command and Control Group in Holzdorf/Schönwalde with their deployable Control and reporting Centre will provide key support to successful training during the exercise.